Union Island is now starting to look a bit more like home! 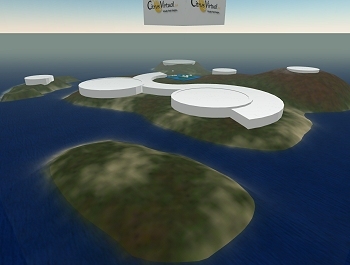 Matthaios Aquacade from in-world solution provider Citrus Virtual is helping us to terraform the island and design and build the buildings and features. So far Matthaios has been busy shaping the terrain and laying out foundations. We’ll show you more of the build in progress as it happens.